Lfinity (Pvt.) Limited, a unit of Laugfs group, recently announced the launch of its highly anticipated virtual hyper mall, ‘clickNshop.lk’, providing a broad range of high-quality products together with some exciting discounts. 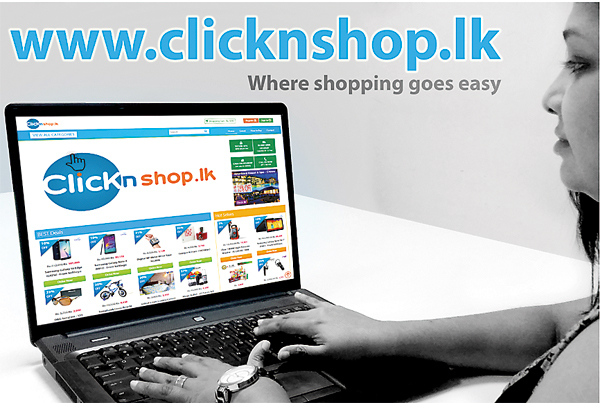 ClickNshop, the latest e-commerce site for Sri Lankan shoppers, offers a wide selection of over 2000 products and services for everyday needs. The site provides a convenient and secure shopping platform, with high-quality products and guaranteed two to three day islandwide delivery. “We are thrilled to launch clickNshop, which is a convenient and time-saving alternative to shopping in the conventional fashion. 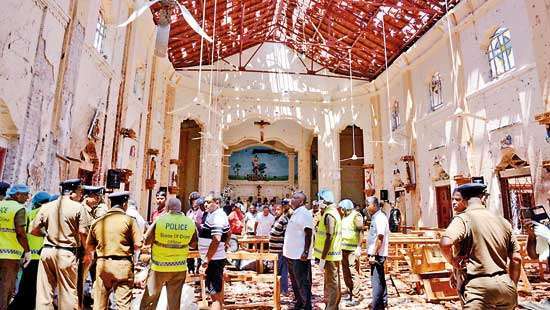 With increasing traffic congestions, the newly implemented parking tolls on some of the main shopping areas in the Colombo city and hectic time schedules leaving little time for shopping, people are increasingly choosing online shopping,” stated a company spokesperson. The clicknshop.lk site offers a wide-range of high-quality products across 25 main product categories and over 200 sub categories. Whether shopping for personal and household needs or to find that perfect gift, clickNshop.lk will be an ideal shopping destination. “We offer an unmatchable range of high-quality products from our parent company portfolio as well as partner vendors. Shoppers can also enjoy some exciting discounts together with easy payment options and zero interest instalment schemes on credit card payments. Our quick door-step delivery will further enhance the convenience and time saving offered by this online shopping platform,” further remarked the spokesperson. “Offering high-quality goods has been a central focus for clickNshop, since unlike in a traditional retail environment, online customers do not have the opportunity to try out products prior to purchase. In this regard, we have been very careful in selecting our vendor partners, to ensure that our customers get only the best quality goods,” she further elaborated. ClickNshop features an extensive range of products and services, including the latest gadgets and electronics, top-quality household appliances, fashionable clothing and cosmetics, trusted automobile accessories, as well as fantastic deals on kitchen appliances from over 100 reputed vendors in Sri Lanka. In addition to cash-on-delivery and pay and pickup, the site offers a number of convenient payment options, including eZ Cash, M Cash, credit and debit card payments through Visa and MasterCard, as well as payment through online gateways offered via Sampath Bank and Nations Trust Bank. Product warranties by vendor partners as well as return and refund policies for faulty or damaged goods are also in place to safeguard customer purchases. ClickNshop has exclusively partnered with reputed courier services for delivery services, which are provided free of charge within Colombo 1-12 and at affordable rates for islandwide delivery. “We will also continue to expand the product range on offer with many more exciting features. We are currently working on a Grocery Box feature, to serve our customers’ daily grocery needs through the simple process of ‘click, pack and deliver’ to their doorstep,” the spokesperson added. Speaking further on the e-commerce industry in Sri Lanka, the company stated that the positive growth trends are attracting overseas investments, which is bound to expand the industry faster while raising the competitiveness for the existing players. “We see these trends positively and see great growth scope for an increased number of players, provided that the industry offers a sustainable and worthwhile offer to the customers,” he said. ClickNshop is one of the first projects of Lfinity (Pvt.) Ltd, which will soon be launching a series of other e-commerce ventures to cater to varying market needs that can be effectively met with e-commerce solutions, bringing greater benefits to the Sri Lankan customers.